Lucy recognizes Natsu, and asks him where he was, sharing a touching hug with him before proceeding to repetitively torture him. 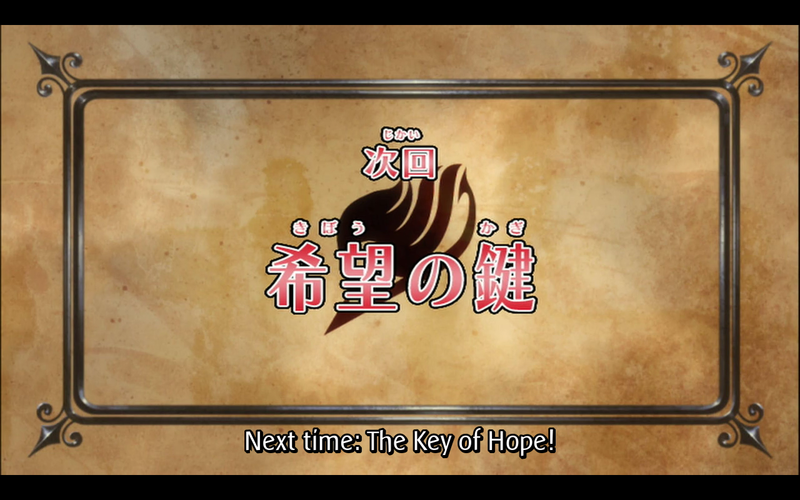 Even though the guild recognizes Natsu, it becomes quickly clear that something is not right. Not only is everyone acting weird, but there’s an adult Wendy, and Lisanna is alive! Charle quickly figures out that the people they have found are not their friends at all, but are in fact a guild that has been in Edolas all along. 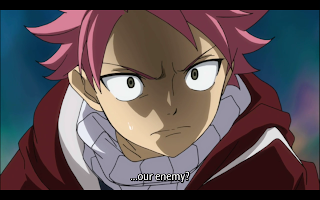 While Natsu and his friends wonder where Erza is, they find out that mage guilds are illegal in Edolas, and that Fairy Tail is a dark guild. 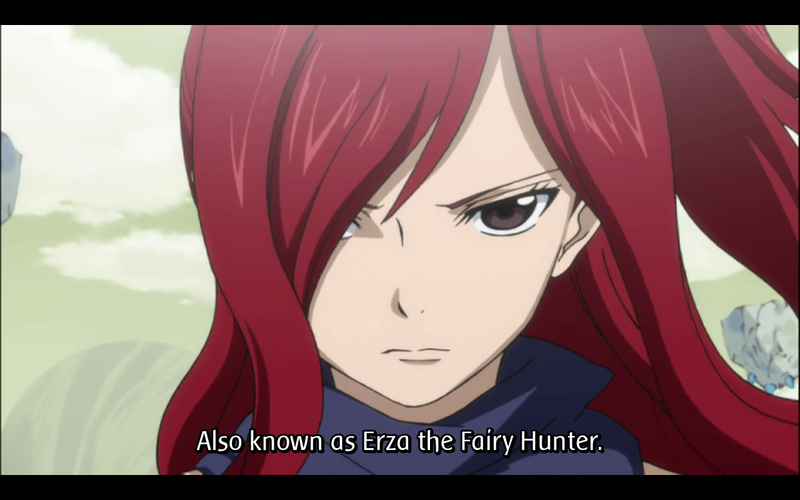 They are then attacked by the Fairy Hunter, who turns out to be none other than Edolas’ version of Erza. The guild is barely able to transfer to safety before Erza Knightwalker is upon them. 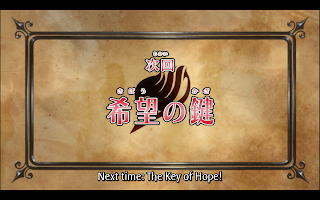 A notable feature of this episode is that the animation style has changed from the previous episode. It’s fairly noticeable, and I don’t think this style gets used too often. So far this is really only the second time that I can specifically remember it being used. It’s a little rougher looking, and while I like the style, I can see that it isn’t as refined looking as the regular style. 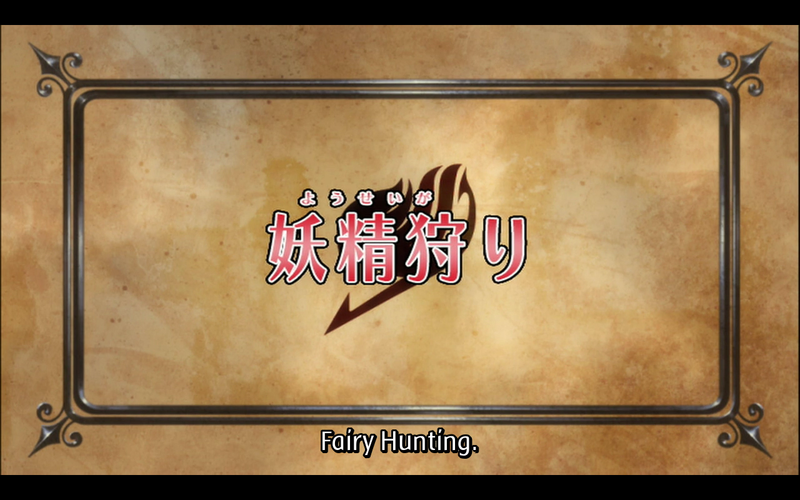 There is a lot of padding, especially with the guild antics, but the episode still manages to remain entertaining. I am however a little confused by the treatment of the scene with Lisanna. While I can see that the animators are giving her some much needed development compared to the manga, I’m not sure I really swallow it. The story isn’t about Lisanna, and since the manga does not focus on her I assumed that she wasn’t important. And considering that Natsu goes through several flashbacks when he sees Edolas Lisanna, many of which are meant to beat touching, and his initial reaction is fairly serious (and a bit out of character all things considered, I haven’t seen Natsu take anything really serious before, and he isn’t exactly someone known for his subtlety in expressing joy). Of course his actual reaction is to comically jump at Lisanna with tears of joy streaming from his face. It plays off as a joke reaction, meaning that his seeing her isn’t meant to be something serious. But considering the anime added the more serious parts to his reaction, while still sticking to the comic reaction, I can’t help but feel that this section of the episode was oddly schizophrenic. Screen time isn’t the only thing the anime added. Overall a good episode, if somewhat schizo and unsettling as far as the future is concerned. 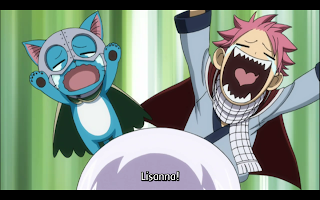 This is just my opinion, and people that like Lisanna are free to enjoy episodes with 90% more Lisanna. I personally don’t see how anyone would really find her appealing. She’s just a bit too normal compared to the rest of the cast. 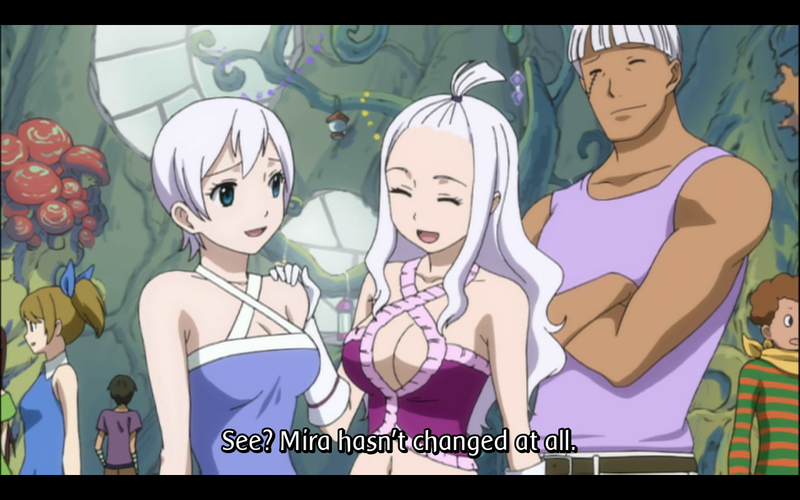 Not to mention she really is basically Mirajane, with a few notable subtractions. Previous Post:Anime Reviews: Toriko Episode 06 – The Strongest Wolf That Ever Lived! The Battle Wolf Is Reborn! Lissana not believe this alive?! !